We specialize in the repair and maintenance services of all types of AC and DC Drives, servo, soft starters and Motor Controllers for any major manufacturer’s equipment in all major industries. Our factory trained talented staff of engineers provide field service, retrofits, upgrades and preventative maintenance of AC & DC drive, servo systems and industrial controls in all major industries. 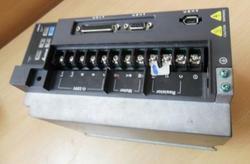 We also stock new and refurbished AC and DC Drives from many manufactures. So whether you want an urgent drive repair, refurbished, stand- by (Rental) drive or a new drive call or email us. Expert Siemens AC Drive repair centre in India.We are one of the leading National service providers and have 15 years experience in the field of AC drive, DC drive, inverter drive, servo amplifiers, servo motors, Servo Drives, PCB, PLCs & Industrial Electronic Repair & Maintenance. 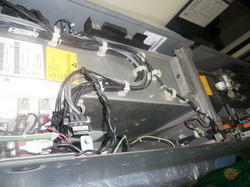 We have expert ac drive technicians. 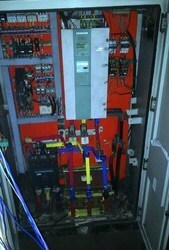 Our technician fined the problem are you facing in your ac drives & they troubleshooting. We can support on site service in your factory.We have service most brands; we are expert in repair of all makes of ac drives.We can service all OEM, Non-warranty, Upgrades and obsolete repairs, for a wide range if items. For any further information required, feel free to contact us anytime. We will give our best support. 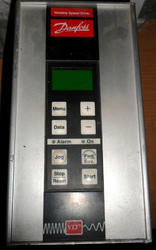 We are STAR AUTOMATIONS, Doing sales and Service for all kinds of industrial Automation products. We are the authorized service provider for Yaskawa Servo. We are having skilled and trained technician. We are offering service for Panasonic, Yaskawa, Delta, Fuji, Fanuc, Omron, Orient Electric, Schneider, Mitsubishi, Teco, AC tech, ABB, LS, and Lenze. Are You Searching for Low votage and medium voltage drive (MV drives repair) Adjustable Speed Drive Service Provider? Star Automations provides solutions for your search. We are in this field for more than a decade. 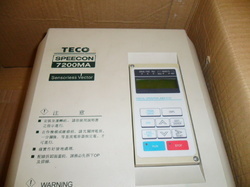 We are doing sales and service for industrial automations products. 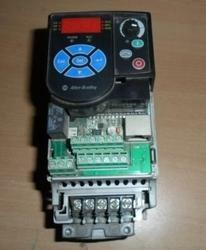 We are the authorized service provider of Yaskawa servo products yaskawa MV vfd repair. We doing service for Allen Bradely,powerflex 7000, Alstom ,cutler-hammer drive,Eaton SC9000, Ebara ,GE energy , converteam MV3000 , softronics ,omron g5hhp, LS, Lenze, Orien,Telemecanique ,Altivar ,Yaskawa MV1000 and yaskawa legacy drive G5HHP drive repair,Delta ,MVD1000,MVD2000,MVD3000,Robicon ,Teco ,Toshiba T300MVi,hitachi hi-rel, Basler , panasonic, Fuji,Omron,Mitsubishi, invt ,Fanuc,Doran and so on. We are having high tech equipments for PCB testing and our Engineers are well trained. We are one of the industry leading service providers and have 15 years experience in the field of AC drive, DC drive, inverter drive, servo amplifiers, servo motors, Servo Drives, PCB, and PLCs & Industrial Electronic Repair & Maintenance. We have expert Dc drive technicians. Our technician fined the problem are you facing in your dc drives & they troubleshooting. We can support on site service in your factory. We have service most brands and model. We have a team of experienced engineers from different industries to provide industrial automation control panel repairing and retrofitting services and system Programming for new system installations, upgrades to existing automation controls and complete industrial retrofits. Our Major Service support countries are: Singapore, Saudi Arabia, Bahrain, Kuwait, Dubai, Oman, Qatar, Abu Dhabi, Egypt, Sri Lanka, Bangladesh, Nepal, Thailand, Indonesia, Africa, German, USA and UK. Star automations offers comprehensive on-site industrial maintenance services for ac drive, variable frequency drives, dc drives, servo drives, spindle drives, servo motors and other control Systems. Are you searching for a servicing Industry for Servo Products at the affordable rate? We are a leading industry in India providing service to all kind of Servo Motor, Servo Drive, VFD and HMI for various manufactures such as Mitsubishi, Delta, Fuji, Panasonic, Yaskawa, Baumuller and etc. The Service is done by well experienced person with high tech industrial equipment. Our focus is only customer satisfaction and Customer is king for us. The components used for serving purpose are imported from various Manufactures with good quality. The Test run is done in the industry itself and uploaded in internet for customer satisfaction before the material is going too dispatched. The Status of the serviced equipment is updated to customer through mail. Over the decade we are offering services to Baumuller Drive to various clients .and from various countries . We guarantee the reliability of our services. We are STAR AUTOMATIONS, Doing sales and Service for all kinds of industrial Automation products. We are the authorized service provider for yaskawa Servo. We are having skilled and trained technician. We are having good name and fame in this industries. For any other related information required feel free to contact us any time, we will do our best service support at all time. Star Automations (SA) is an ISO 9001:2008 certified organization. SA is one of the leading Suppliers in India and abroad. We are the authorized solution provider and supplier forYaskawa, Panasonic, Fuji, Delta make Servo, VFDs, PLCs, Sensors, speed reducers & Motion Controllers. We are expert Servo Error Codes Repair in India.We are having servo drive Error code repair facility for many servo drive brands.We have servo drive error code technicians, Error code finder & Error code solutions provider.We offer the fastest turnaround times available for servo drive error code Repair.We have expertise to repair all types and makes of servo drives and also including AC servo motors & DC servo motor, spindle and stepper motors. We are specialized in providing technical solutions and consultancy for these products.We are offering Panasonic, Yaskawa, Fuji, Mitsubishi NEW servo drive.We service, repair, replace, built, rebuild, regrind, recondition, refurbish, remanufacture, retrofit and overhaul all servo drives. Looking for AC DC Drive Repair Services ?